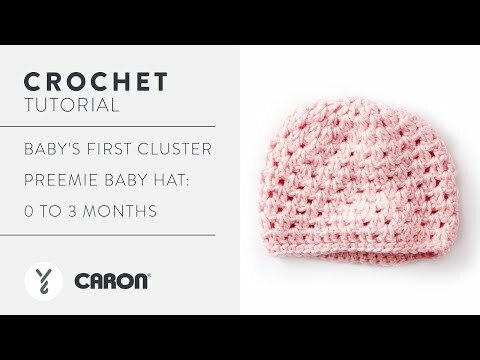 Crochet this baby's first hat in 4 sizes from premie-3 months, in Caron Simply Soft. This beginner pattern cuts no corners, featuring a beautiful cluster stitch pattern to bring texture to this adorable hat. Caron Simply Soft always finishes with a lovely lustre and sheen that makes this item perfect for gifting. Add one to that baby gift basket, or bring one to the hospital so baby can wear it home.